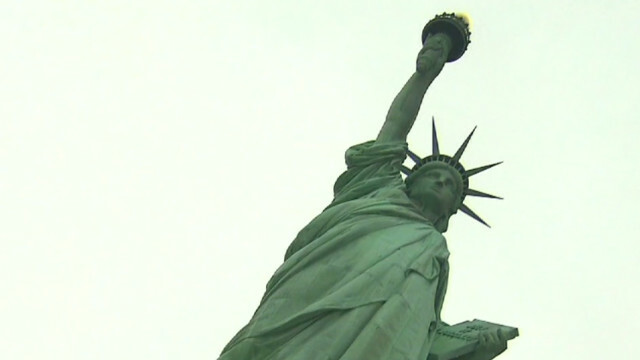 CNN Anchor Zoraida Sambolin gets a sneak peak at the newly renovated Statue of Liberty, which includes accessibility upgrades for the disabled and other improvements. The $30 million renovation took one year and is set to open to the public this Sunday. Sambolin was one of the first to visit the site along with two wounded warriors, including Kirk Bauer, who lost his leg in Vietnam, and Jesse Acosta, whose suffered injuries to his hip from a roadside bomb in Iraq. Early Start with John Berman & Zoraida Sambolin airs weekday mornings from 5-7am ET on CNN.